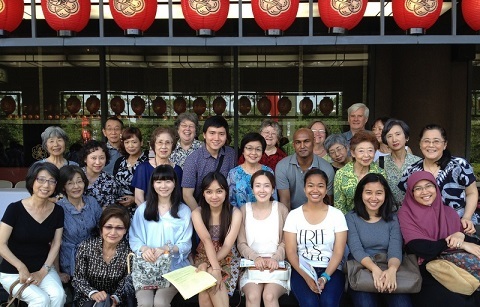 I want to inform you guys that on July 6, 2014, the Foreign Students’ Circle, an association that tries to connect foreign students with Tokyo locals and introduces them to traditional Japanese culture, will organize a cool Kabuki event with a brief introduction on Kabuki, meal and show and the National Kabuki Theatre. This is a very fun event, I joined last year (see picture). I am a member of the FSC, and I can bring friends. Since I am intending to sign up, please let me know if some of the GPES/GPEAK students of you want to join as well, so I can reserve a seat for you as well.